Great tour, beautiful landscapes and a very intimate atmosphere in the tea house. Our tour guide Jackie was very fun and kind. 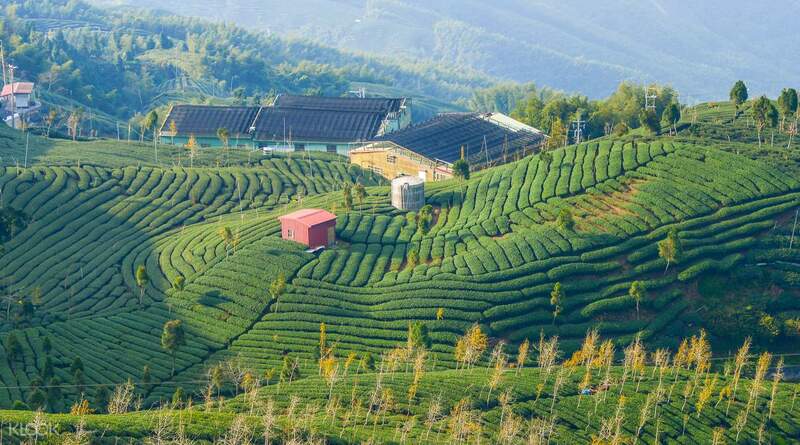 Travel to the land of tea and discover marvelous landscapes on the tour of Thousand Island Lake and Pinglin Tea Plantation. The 5 hour trip is a true retreat for the soul, letting you leave the hustle and bustle and experience complete "oneness" with nature. 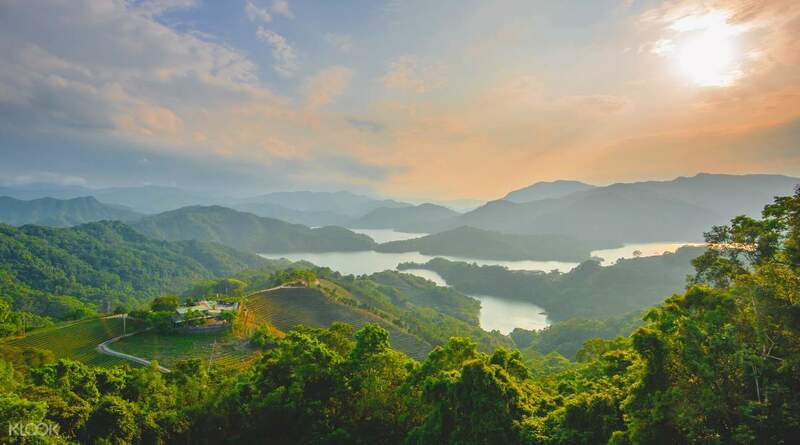 Capture breathtaking views of endless rows of green mountains and terraced tea plantations. Embark on this adventure early in the morning - you will be conveniently picked up from your hotel in Taipei. 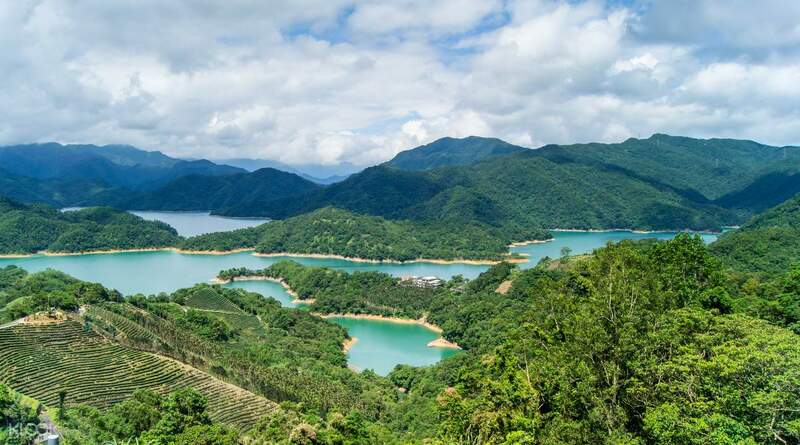 Your first stop is the enchanting Thousand Island Lake, also known as Qiandao Lake. The green hills surrounding the lake make it look as if it’s home to numerous floating miniature islands. 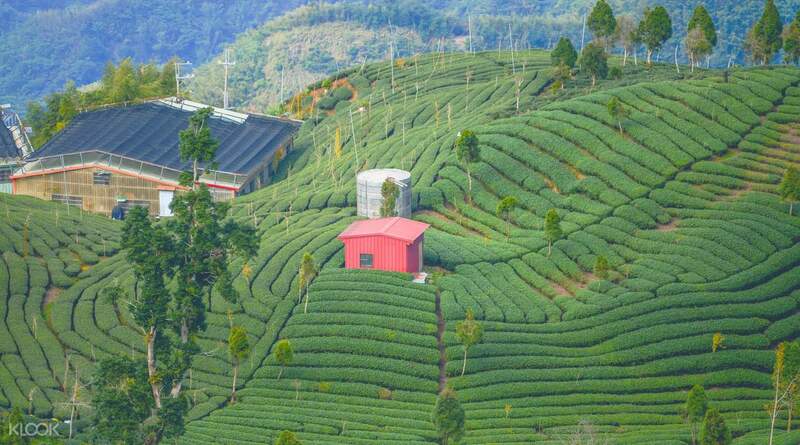 Go on to visit Pinglin Tea Plantation and see how some of the world’s most famous tea is grown. Here, you can also stop by Pinglin Tea Museum and go on to indulge in some local tea tasting and chat with a tea expert about the best ways to brew the perfect pot of tea. Indulge in a tea tasting ceremony and sample Wen Mountain Pouchong tea, Oolong tea and more! Hotel pick up & drop off service is available only for customers staying in downtown Taipei City. Neihu, Nangang, Shilin, Beitou, Wenshan District and New Taipei City are not included. Our tour guide Jacky explained to us the landmarks around Taipei as he drives us up to the tea plantations area. We love this tour and my personal favourite will be the last part of the tour as we get to learn how to brew and taste different types of tea 🤩. Our tour guide Jacky explained to us the landmarks around Taipei as he drives us up to the tea plantations area. We love this tour and my personal favourite will be the last part of the tour as we get to learn how to brew and taste different types of tea 🤩. Beautiful place despite it being raining on the day. The tour guide was wonderful, he was knowledgeable, engaging and had a good sense of humour. The place itself is not yet overrun by tourists and its location means only vans can access it and not tour buses. The Tea house was also a good experience. Beautiful place despite it being raining on the day. The tour guide was wonderful, he was knowledgeable, engaging and had a good sense of humour. The place itself is not yet overrun by tourists and its location means only vans can access it and not tour buses. The Tea house was also a good experience. 🌱Great experience 5stars Top distination that you have to see by yourself. Mr. Jackie - our tour guide is good he can speak many languages including English and Japanese. Just click to reserve and experience a top natural zone of Taipei. 🌱Great experience 5stars Top distination that you have to see by yourself. Mr. Jackie - our tour guide is good he can speak many languages including English and Japanese. Just click to reserve and experience a top natural zone of Taipei. Amazing views of the lake and really enjoyed having our tea tasting ceremony. Jacky was a good guide and we had a small group of only 4. There were no other tourists at the lake viewpoints, it was really special. It has not been overrun by coaches of tourists yet. This was the highlight of our trip :) Would recommend! Amazing views of the lake and really enjoyed having our tea tasting ceremony. Jacky was a good guide and we had a small group of only 4. There were no other tourists at the lake viewpoints, it was really special. It has not been overrun by coaches of tourists yet. This was the highlight of our trip :) Would recommend! Jack the tour guide speaks English. The trip is simple but worth the trip given that the lake (reservoir) is remote with limited transportation due to the government trying to prevent pollution to the area. This is a source of drinking water for Taipei. Tea appreciation was interesting. Museum is rather new, opened in Nov last year only. Jack the tour guide speaks English. The trip is simple but worth the trip given that the lake (reservoir) is remote with limited transportation due to the government trying to prevent pollution to the area. This is a source of drinking water for Taipei. Tea appreciation was interesting. Museum is rather new, opened in Nov last year only. The tour guide/driver safely brought us to our destinations and was very informative. I’ve had a nice time learning how to enjoy tea the Taiwanese way. The only negative thing I noticed was the guide was in a hurry to finish the tour at our last stop. It’s not his fault though, and I understood that the tour had to end based on the agreed time. So, 5 stars still. Perhaps I’d suggest a full day tour for the Thousand Island Lake. It seems there’s a lot more to see in that area. The tour guide/driver safely brought us to our destinations and was very informative. I’ve had a nice time learning how to enjoy tea the Taiwanese way. The only negative thing I noticed was the guide was in a hurry to finish the tour at our last stop. It’s not his fault though, and I understood that the tour had to end based on the agreed time. So, 5 stars still. Perhaps I’d suggest a full day tour for the Thousand Island Lake. It seems there’s a lot more to see in that area. We were picked up at the brothers hotel, the van arrived late. We were kind of worried at first because we have no way of contacting them so good thing they arrived after 15m of waiting. The tour guide was very kind and bubbly, she just need to speak a little louder. Seeing the mountain side of taiwan was a really great experience. The only trouble was when we were driving up the mountains, the van had a hard time climbing up. The road was very steep and narrow. I suggest use a 4x4 car next time to avoid this problem. Other than this, the experience was so much worth it. Taiwan is very beautiful and I’m so happy I booked the tour. We also went to the Tea Museum and at an old tea house where we were taught how to properly drink tea and its benefit. If you love nature and culture, I really suggest you book this tour. We were picked up at the brothers hotel, the van arrived late. We were kind of worried at first because we have no way of contacting them so good thing they arrived after 15m of waiting. The tour guide was very kind and bubbly, she just need to speak a little louder. Seeing the mountain side of taiwan was a really great experience. The only trouble was when we were driving up the mountains, the van had a hard time climbing up. The road was very steep and narrow. I suggest use a 4x4 car next time to avoid this problem. Other than this, the experience was so much worth it. Taiwan is very beautiful and I’m so happy I booked the tour. We also went to the Tea Museum and at an old tea house where we were taught how to properly drink tea and its benefit. If you love nature and culture, I really suggest you book this tour. We love the experience. 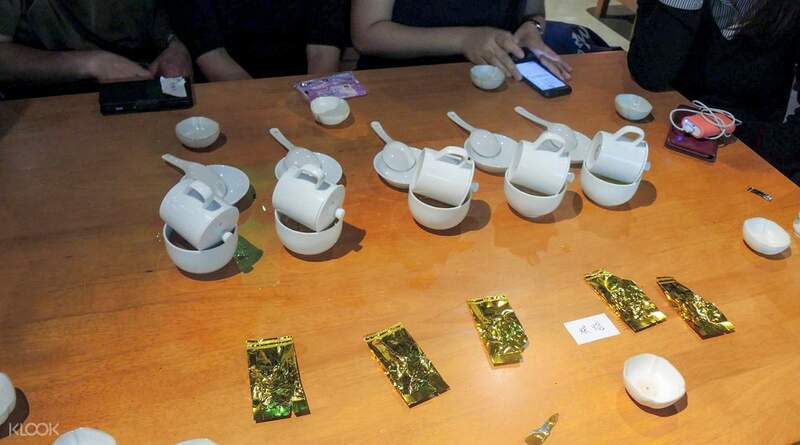 We’re only four girls in this tour and everyone enjoyed the tea tasting ceremony. Learned a lot from the picking up the tea in the farm to the history and to the packaging. The tea master Mr Fang was warm, nice and friendly. He gave us a selection of different teas in the area and explained the differences between them and the right way to drink them. A great all around experience for tea lovers! We love the experience. We’re only four girls in this tour and everyone enjoyed the tea tasting ceremony. Learned a lot from the picking up the tea in the farm to the history and to the packaging. The tea master Mr Fang was warm, nice and friendly. He gave us a selection of different teas in the area and explained the differences between them and the right way to drink them. A great all around experience for tea lovers!